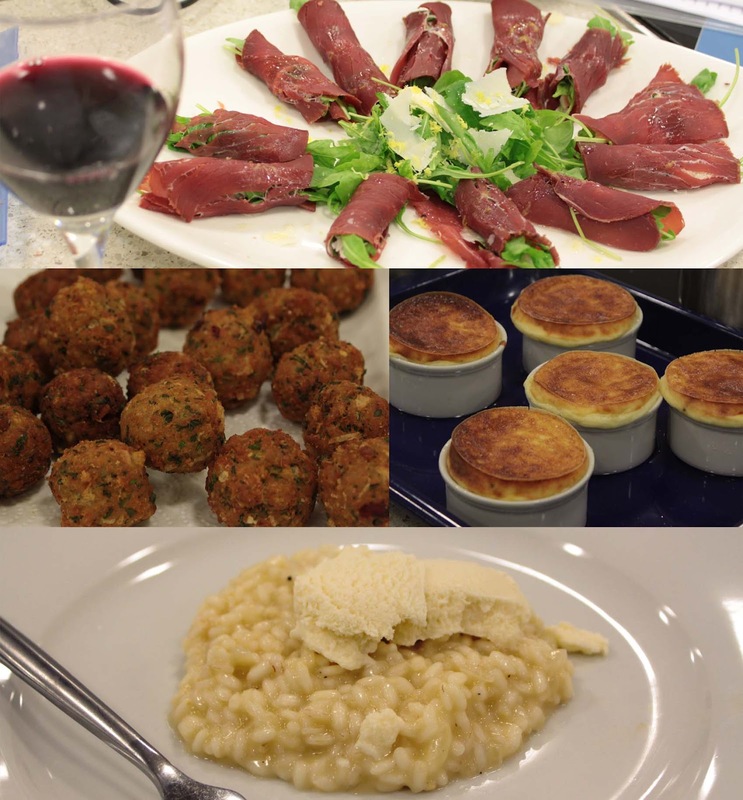 As a food blogger I was invited to a lunch with Grana Padano cheese at the Cheshire Cookery School in Altrincham on Tuesday 25th September 2012 with Chef Giancarlo Caldesi. So I thought "this sounds good"....... count me in! I arrived and was swiftly given a nice glass of red wine which I enjoyed whist Italian chef Giancarlo Caldesi gave us a brief introduction to the Grana Padano cheese, and a explained why he is such a strong advocate of it - he truly believes in the product due to its very good quality & its versatility. He then handed over to the Italian guy from the Grana Padano consortium who costantly check the cheese from all the producers in the Grana Padano region of Italy for quality and will only brand the cheese if it meets thier exating standards. He gave us an interesting talk about the history (it was first made by the monks near Milan over 1000 years ago). 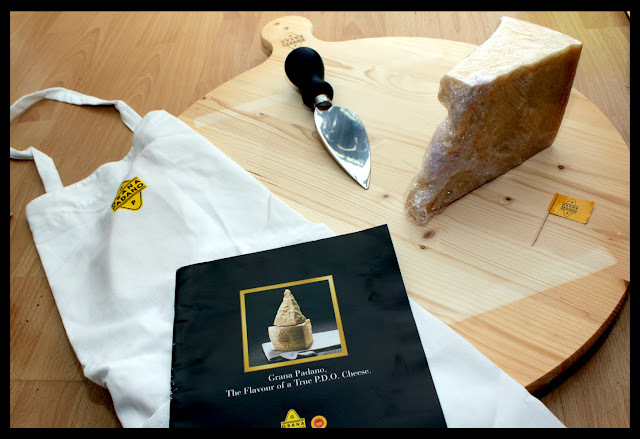 Grana Padano is the best selling PDO (Protected Designated Origin) in Italy & worldwide with 4.6 million wheels of cheese made each year. It takes 15 litres of milk to make 1kg of cheese, and each wheel of cheese is almonst 40 kilos. Anyway, all very interesting, but it was time to hand over to chef Giancarlo who was ready to show us a handful of dishes he prepared with the cheese. He made some deep fried cheeseballs which were mixed up with breadcrumbs and parsley. Next up was some shaved Grana Padano with rocket wrapped in Bresaola (cured beef) and drizzled with a lemon juice, zest and olive oil. The third dish that Chef Giancarlo made for us was an absoultly delicious Grana Padano Risotto topped with a cheese ice cream. The fourth and final dish that was made was a Grana Padano Timbale (kind of like a cheese souffle). All the dishes were absolutly superb and made for a great free lunch for us (rather spoiled) food writers. After eating all those wonderful cheesy dishes, it was time to hand back over to the Grana Padano Consortium guy to show is how to cut a whole wheel of cheese. A splendid lunch with some passionate people and a truly great cheese - I for one am converted & will be purchasing in the future﻿. Just one final treat - as we left we were given a goody bag containing an apron, cheese knife, a cutting board and of course a humungous chunk of Grana Padano!